In 1992, I saw an art exhibit in Los Angeles called "Helter Skelter," which was devoted to Los Angeles art. From that moment, I became interested in art from L.A., an interest that deepened when I lived in L.A. for a couple of years. And I already had a long-standing interest in the work of Edward Kienholz, dating back to when he had a show at the late, lamented Rice Art Gallery, where a bunch of us film class students saw a couple of films with him and Nancy Reddin dating from the early and mid-60s, one a television documentary about him and one an incredible documentary of the reception of his show at the Los Angeles County Museum of Art in 1966. Of course, Kienholz had started the Ferus Gallery with Walter Hopps, who was the founding director of the Menil Museum and an important person in the art scene in Houston in the 1980s. All this is just to say that the L.A. art scene has long been a fascination of mine. 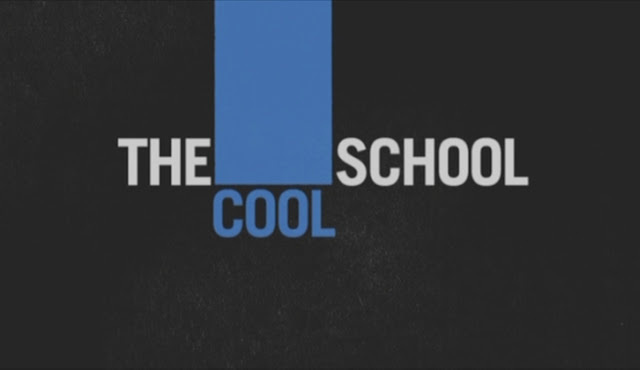 So when I heard about Ferus Gallery documentary, The Cool School (2007), I had to check it out. The documentary starts with a description of the Watts Towers (which was one of the first things I went to see when I moved to L.A. the first time). This struck me as a bit contrived, but at the same time typical. Advanced, alternative art scenes always reach out and try to include outsider or vernacular arts. Look at Picasso and his gang bringing Henri Rousseau into their fold, or here in Houston, the way the recently closed show "No Zoning" included Cleveland "The Flower Man" Turner as part of the show. I am really torn by this because it seems to have a touch of slumming about it, but at the same time I love these outsider, vernacular works. It is often the alternative arts community that finds and embraces these works and recognizes their creators. (Think of how Henry Darger's work was saved, for example.) Anyway, this has little to do with the documentary--it's in my mind because of a conversation I had Saturday night with Matthew Guest (who is, not surprisingly, also interested in outsider art). The filmmakers seem to be suggesting that artistically, L.A. was kind of barren except for the Watts Towers, which were decidedly out of the mainstream. There were a few collectors who were into modern art, and a few artists who were trying things here and there, but no art infrastructure. Edward Kienholz and Walter Hopps had each tried to start galleries without much success. So the decided to join forces. They were definitely an odd couple. Kienholz was a burly, working-class beatnik rebel, Hopps a skinny nervous egghead with thick glasses. They founded the Ferus gallery on La Cienega. The problem was that they really weren't great partners. But they both had a great vision for art in L.A. and a recognition that cutting edge artists needed a place to display their work.They founded the gallery in 1957, opening with a group show of abstract expressionist painting by San Francisco and L.A. artists. This is something the movie underscores--the early days of Ferus were somewhat dominated by San Franciscans, because San Francisco had a much better developed art scene than L.A. Obviously Clyfford Still was the biggest name there--he was one of the most important abstract expressionist artists. But it seems that there was a whole beatnik art scene there that was vital and healthy. It is also my impression that only in San Francisco was the visual art scene dominated by beatniks. The beats were literary and a lifestyle, and the only artists that I think of part of that subculture were San Franciscans like Jay DeFeo (who had a solo show at Ferus in 1960). But the presence of Ferus really energized L.A. artists. Many of them lived in Venice, which was a slum at the time. They mostly came out of abstract expressionism, but moved towards other styles in the late 50s and early 60s. For example, Robert Irwin (another artist who visited Rice while I was there--I wonder if Walter Hopps was involved in bringing him and Kienholz to the campus?) started off as an abstract expressionist, but apparently decided his paintings were no damn good after seeing some Philip Guston abstract paintings. So he pared back the expression to some very simple geometric paintings, that evolved into nearly invisible painted objects that were all about light. This move away from abstract expressionism to minimalism was happening in New York, too. Ditto with the Pop idea, which at Ferus was exemplified by Edward Ruscha's paintings and photos. Ditto with assemblage, with Kienholz as a leader. I think this may have led New Yorkers to look on L.A. as just a bunch of copycats (this point of view was represented by Ivan Karp in the movie). But I think it was in the air--the L.A. artists were working their way out of abstract expressionism just as the New York artists were, and these routes were logical reactions to that older style. And there were also things in L.A. that really had no counterpart in New York, like Ken Price's ceramic pieces. Clay just wasn't taken seriously in most places as a legitimate medium for a fine artist. 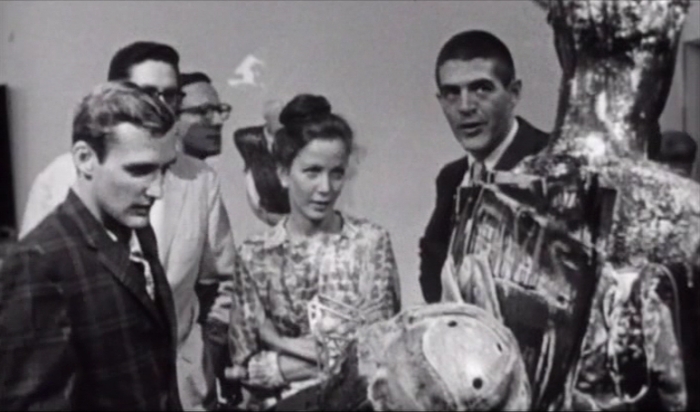 The first year of Ferus had its first controversy--a Wallace Berman show that was busted for being pornographic. Berman was one of those shamanic figures in art who is better known as an influence than as an artist--but his art is astounding. Unfortunately, the experience of being busted made him swear off working with commercial galleries. The still above in the movie was actually taken from the T.V. show at the time about Kienholz. It's worth mentioning that Kienholz wasn't chosen because the producers necessarily thought he was a great artist, but because he was sort of a living embodiment of the cliches that viewers might have about "beatnik artists." The TV series itself focused each week on a different profession (this week, and artist, next week, a hotel chef). Irving Blum was exactly what the gallery needed. He was seriously into avant garde art and had a great eye, but he was also the kind of personable, sophisticated fellow who could chat up well-to-do collectors. A gallery is a commercial enterprise, and while history (if you're lucky) remembers the artists, the collectors are every bit as important. Hopp's story of how he met Blum and brought him on board is amusing but a little hard to believe. As Hopps would have it, Blum comes into the gallery one day with a group of swell friends and starts explaining the art as if he owns the joint. Hopps pulls him aside and says, hey buddy, I think you and I should go have a drink. I couple of drinks later at the Beanery, and Blum is officially on board. Blum brought a fundamentally more professional outlook to the enterprise. Hopps and Kienholz had exhibited something like 70 artists year (lots of group shows), but Blum cut it down to a core group of L.A. artists, which would be supplemented by the occasional New York artist and group shows. The key Ferus artists were John Altoon, Craig Kaufman, Ken Price, Ed Kienholz, Ed Moses, Robert Irwin, Billy Al Bengston, Larry Bell, and Ed Ruscha. The interesting thing is that many of these artists are not particularly well-known today. The only ones who I'd say are part of the standard art history of the '60s onward are Kienholz, Irwin, Ruscha, and maybe Bell. (Your mileage may vary, however.) This may be a result of the lingering bias against non-New York artists, or may be because art by, say, Craig Kaufman wasn't as interesting as, say, Donald Judd's art. On different days, I can lean to different explanations. But what is important is that while Ferus was there, these artists had a leg to stand on and were able to develop (which they did--a lot). That period in L.A., from 1957 to 1967 saw an explosion of modern art. Hopps left Ferus in 1962 to become curator and director of the Pasadena Art Museum--where he put on a bunch of cutting edge shows. The L.A. County Museum was opened (next to the tar pits!) and it had some important shows, including the controversial Kienholz show. Other galleries opened. Artforum moved from San Francisco to L.A. 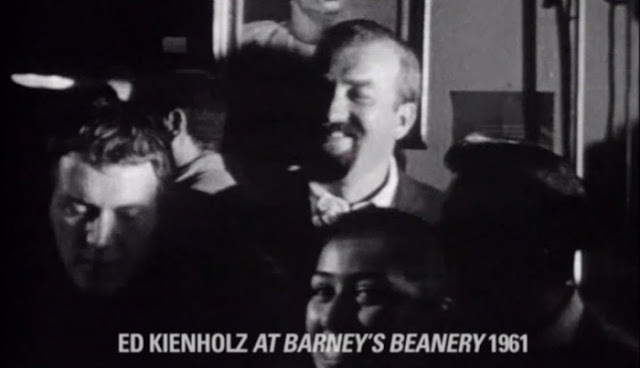 But as John Baldessari comments in the film, it all wound down in the late '60s. Ferus closed, Artforum moved away to New York. Despite Blum's best efforts in cultivating collectors (including Hollywood types like Dennis Hopper and Dean Stockwell, both of whom are in the documentary), he apparently wasn't doing that great. 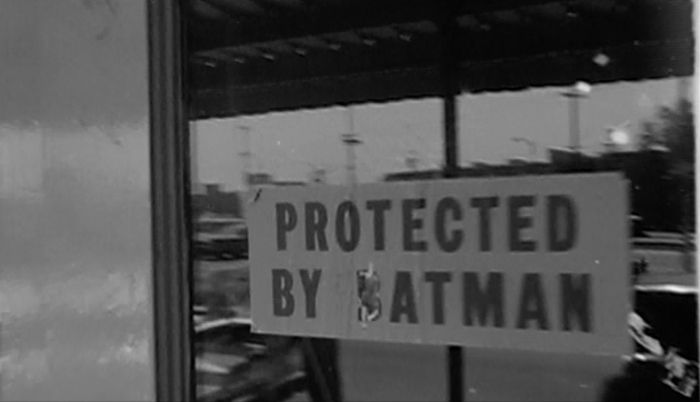 He eventually moved to New York. (He did make one absolutely amazing art purchase in L.A.--he gave Andy Warhol his first gallery show--a bunch of painted Campbell's Soup cans. A few people, including Dennis Hopper, bought individual paintings for $100 each. But Blum decided at the end of the show that he wanted them all as a set--so he asked his collectors if he could return their money, and paid Warhol $1000--in installments--for all of them.) Baldessari describes modern art in L.A. as a boom and bust phenomenon--although he adds hopefully that it seems like the scene in L.A. now is fully self-sustaining. One thing that killed the Ferus vibe for everyone, apparently, was the death of John Altoon in 1968. The Ferus guys had more or less been a bunch of buddies hanging out together, and at a reunion filmed for this documentary, they seem to say that Altoon's death ended that. Irwin doesn't totally agree--he thinks that they were all evolving as artists in different directions and moving out of Venice and even out of L.A. But Altoon's death certainly provides a sense of finality to the Ferus era. Indeed, this film is haunted by death. 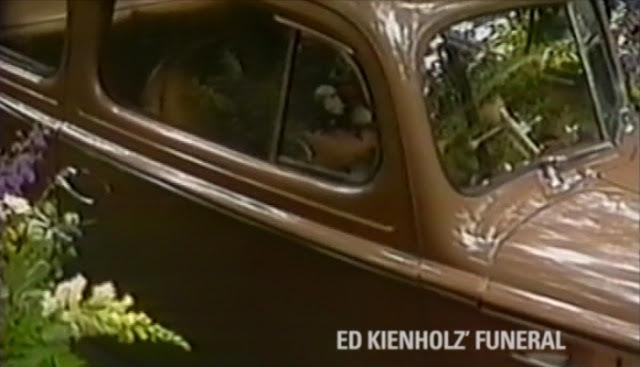 The one guy you would like to hear from most, Ed Kienholz, had died in 1994. There is some archival footage of him, but not enough. And Walter Hopps died while this film was being made. Because you can see how important Ferus was to the ecology of art in L.A., it is kind of an exemplar for any provincial city that is growing an art scene. Houston lucked out a bit by having two very sophisticated collectors, John and Dominique De Menil, who were also really into social engagement. 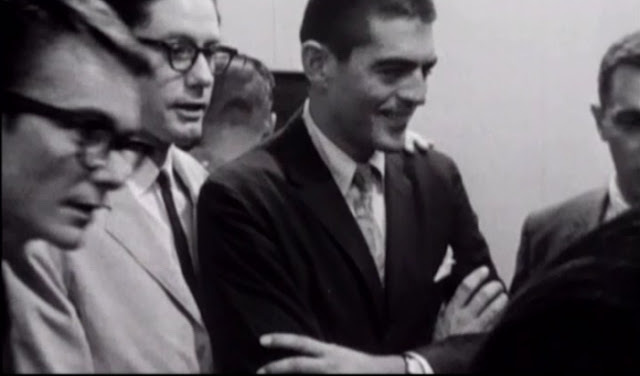 What Ferus (and Hopps, Kienholz, and Blum) were to L.A., the Menils were to Houston. The Cool School is a good way to experience a fascinating bit of American art history.